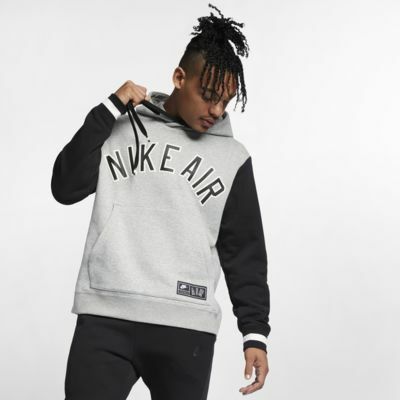 The Nike Air Pullover Hoodie has a throwback look designed in honor of your favorite college sweatshirt. Its boxy silhouette and letterman-inspired print lend a vintage feel. 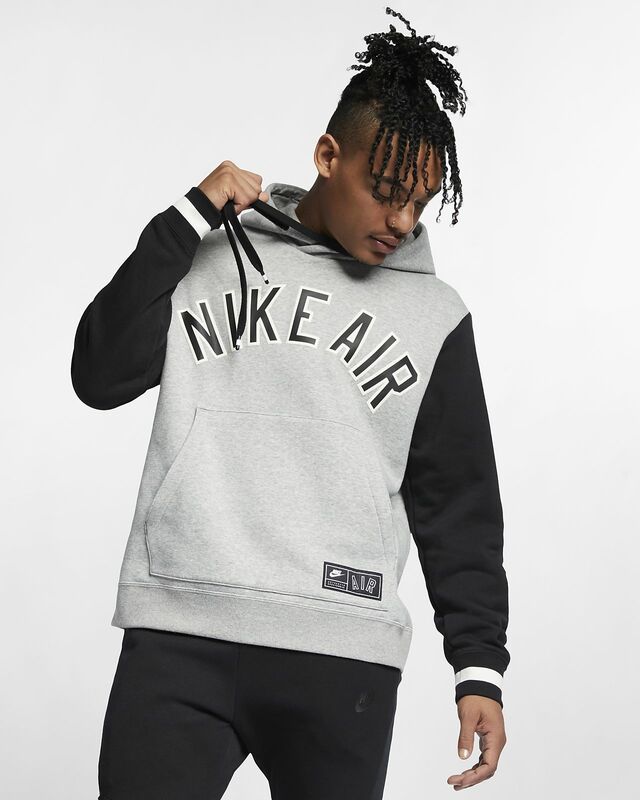 Contrasting ribbing and lettering give a varsity-inspired look. Boxy design creates a relaxed feel. Have your say. Be the first to review the Nike Air.